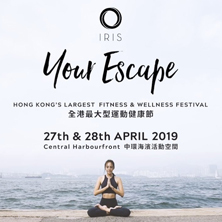 IRIS: Your Escape is a weekend health and wellness festival with workouts, yoga classes, meditation and demonstrations, family zone and marketplace. Open your eyes to a whole new world. 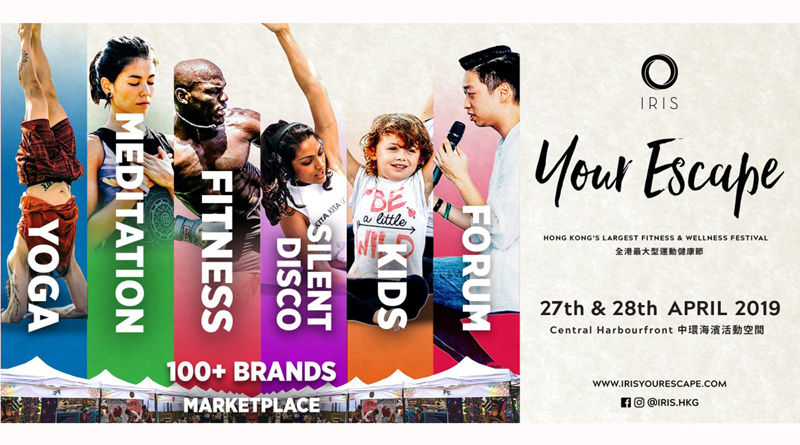 Hong Kong’s largest health and wellness festival returns to West Kowloon with a weekend of fitness, yoga, meditation, family, shopping and food. Your experience includes gong bath, aerial arts, motivational speakers, face painting, virtual reality and variety of workshops and demonstrations. We create a community that is accessible and open to everyone regardless of age, gender and race. Our goal is to create a collective consciousness that encourages people to connect with others on a deeper level. Through yoga, meditation, music, arts, health and wellness education, we inspire individuals to become a better version of themselves. Our affordable ticket pricing is all about bringing together people with similar interests while learning and experiencing the benefits of health and wellness. Live a life with awareness and understanding. Wellness is within reach and our yogis, practitioners and teachers are here to show you how to be your best self. Free your mind with yoga, follow guided meditation practices or sweat it out with our powerful fitness workshops. IRIS Insider is a place for individuals to obtain valuable insight and knowledge from industry experts. The latest zone in the festival provides an experience of learning and growth, as individuals have access to lectures, workshops and panel discussions. It is also a space where music, performance and talent showcase their abilities bringing conscious community closer together. Come with an enquiring mind and open heart! Yoga has been the foundation on which IRIS: Your Escape has been built. Yoga means union. Our yoga teachers are selected to deliver the best possible experience with a common goal of raising Hong Kong’s collective consciousness. Shop the marketplace to indulge in delicious food and drink, shop for clothing and apparel, learn about the latest studios and gyms, enjoy a range of treatment essentials and revitalize your body with innovative skincare. 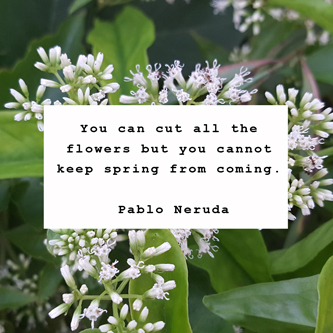 The Zen Garden offers a more intimate experience where teachers, healers and motivational speakers share their wisdom, providing a space to unwind from our fast-paced lifestyle. The Fit District, is a dynamic fitness space. Break a sweat with Capoeira and kickboxing, get your heart pumping with circuit training and zumba or find your focus with tai chi and wing chun in this fun, interactive environment. There are many other special features that are an integral part of the IRIS: Your Escape experience. These include Gong Bath, Aerial Arts, Motivational Speakers, Face Painting, Virtual Reality and various other workshops. The Playground offers the perfect environment for fun and games where parents can play with their children. Move to music, tune out the world and escape to another world with classes in hypnotherapy, dance, numerology, yoga and more in our Silent Disco Dome. Witness talents and skills performed by our magical line-up, including Aerial Arts, Bollywood Dance, Live Music and more. Watch, admire and take part as a host of talents showcase their skills at our Talent Theatre with performances including yoga wheel, angel card therapy, live music, dance, DJ performance, workshops and more. This is where the magic happens. Relax and enjoy music, dance and other creative workshops. It is our duty to positively impact our world in any little way we can for our future generations. The IRIS Movement aims to foster a better lifestyle through intelligent positive experiences. We are open to everyone regardless of age, gender and race. Through practices such as yoga, meditation, fitness, music, health and wellness education, we encourage people to overcome personal fears, connect with others and inspire everyone to become a better version of ourselves. 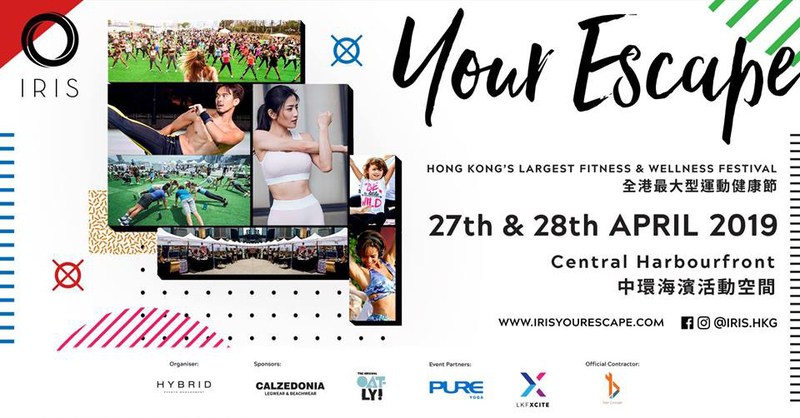 What started out as a small gathering has turned in to a two-day festival that has welcomed 20,000+ guests, hosted 200+ classes, 180+ instructors and 150+ sponsors and vendors at Hong Kong’s largest outdoor wellness festival. Our 8th installment includes education on sustainability, environmental responsibility and a Iris Insider presentation and performance space.